Have you ever lost a new home or a modular addition because the customer had special needs and your standard plans or product wouldn’t work for the client? Maybe it seemed too expensive to both you and your customer? When I had my construction company in NC I ran into customers that wanted a solution but didn't have the knowledge of what to ask for. They knew going upstairs had become an issue, or their bathtub had become too risky to get in/out of, or getting into the house is getting more difficult due to the steps, bad legs and so on. What about someone falling so much because they’re a night walker? Over the many years of doing home assessments, I found that there are few products that make the top 10 list for my clients over and over again. These products are known to some of us but not to all. I thought to write this month about 4 products that I feel you could use in your tool kit of information. Knowledge is POWER! 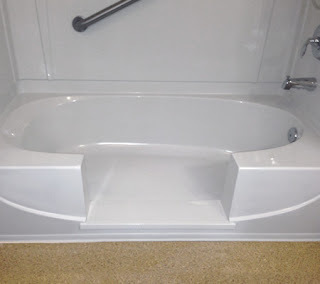 When you have a customer who is looking for a bathroom upgrade but has a hard time with the $5000+ for a complete roll-in-shower, the tub cutout has been a homerun for me. I was able to do everything else in the bathroom AND give the family a solution to a big concern of theirs. Working with people who use a walker, wheelchair or simply have a need for a wider doorway are always shocked when they are told about the $500+ cost. Truth be told, when I first saw a local construction guy open a doorway he had an electrician with him. Seeing that the light switch needed to be moved, along with a few pieces of wood, some framing…the new doorway soon appeared. Years later, I’m always one who will give the customer a great cheaper solution from my product tool bag and it's inevitable that I will get the bigger job and their trust. 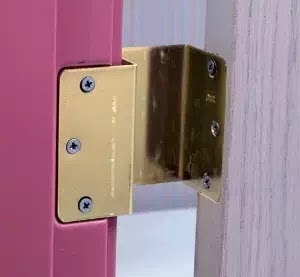 When a doorway needs to be about about 1-2” wider, check out these hinges. You can buy them at Roses Medical http://www.rose-healthcare.com/home.html When I last bought them I paid 3/bx $20 Sign up as a dealer. When raising the toilet makes sense for a quick solution, forget the old raised toilet seat. Start thinking of raising the entire toilet! This product creates 3.5” of height, a pleasant look and NO need for a plummer. Cost: under $100 unless there is a need for over 500lbs in weight. 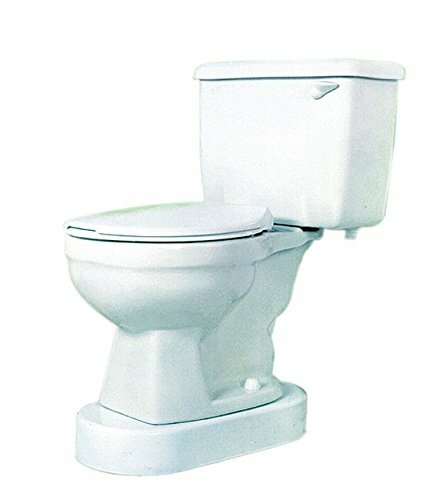 Saves the customer on buying a new ADA toilet. Lighting up any dark space is a big win for anyone. Pathlights turn on and off by themselves due to movement. No electrical work needed. Great for children and night walkers. Below is a link that has 6 Ideas on what to do on the outside of a home that will make a HUGE difference for everyone!